Acumen Athletics: How To Make Your Muay Thai Kicks Stronger. How To Make Your Muay Thai Kicks Stronger. One of the most common question I get from students is "how do I make my kicks stronger. You kick through your target! 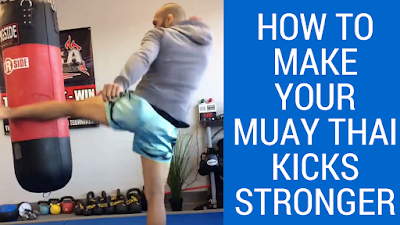 Try this Muay Thai Kicking Drill out and let me know how it improves your kick game. If you guys have any questions regarding techniques, strength/conditioning or just anything, please feel free to ask.